Rinca is one of the 3 biggest islands of the Komodo National Park with Komodo Island and Padar Island. Located right next to Flores and separated only by a narrow straight, Rinca is stretching over 198 km2. Despite being smaller and less known than Komodo, Rinca has a bigger Komodo dragon population with more around 1300 individuals living on the island. Komodo dragons are not the only animal living on the island. Wild pigs, water buffalos, Sumba deers, monkeys, wild horses and many snake species are present on the island. Rinca is composed of 3 different types of vegetation with savannah all around the coastline covering 70% of the island, monsoon forest with a dry tropical forest located between sea level and an altitude of 500 meters and the quasi-cloud forest above 500 meters. The highest summit of Rinca is Mt Ora with 670 meters high. 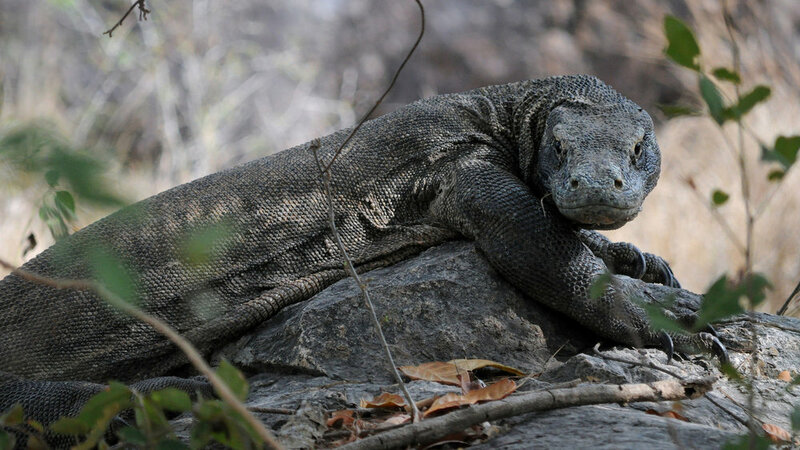 Being closer from Labuan Bajo than Komodo, Rinca is a better option if you want to see the Komodo dragon in its natural environment with daily trip departing every day from Labuan Bajo. Do you want more information about Rinca Island in Flores?